For a long time if you wanted to protect the screen of your iPad from scratches and drops, you had to use a case or a sticky adhesive film. The problem with those adhesive films is that they rarely stick well leaving you with bubbles to look at. 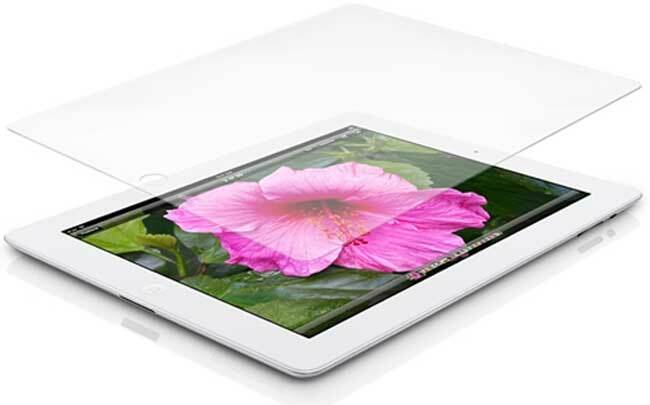 Siedio has unveiled a new screen protector that works for the third and fourth generation iPad as well as the iPad 2. The screen protector promises to protect the screen from scratches and from cracks sustained from a drop. Rather than being a sticky film, the VITREO is a sheet of tempered glass that fits over the entire surface of your iPad. The glass has a hardness rating of 9H and sticks to the iPad using an included silicone adhesive. If you ever want to remove the screen protector, the silicone adhesive promises to come off cleanly, leaving no residue behind. The screen protector is available right now for $69.95.